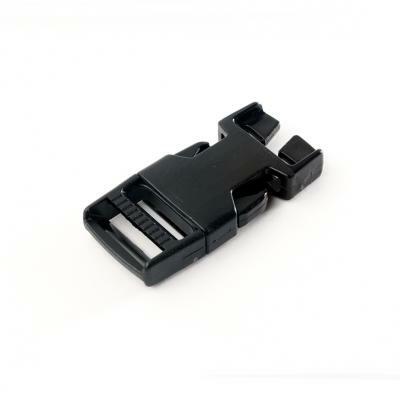 The Side Release Buckle has become a standard for both performance and appearance among molded buckles and fasteners. It is popular in applications involving backpacking and sporting gear, soft luggage, juvenile products and a wide range of other new and ingenious uses. The patented design is both functionally and esthetically superior. Molded logos and artwork can be engineered right into the manufacturing process, too. The Classic SR unique split-bar design helps assist in reattaching a buckle to webbing/MOLLE without sewing, making field replacement a cinch. This buckle is able to withstand extreme tensile loads and is ideal for applications where durability is required.